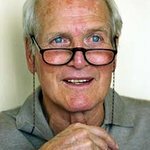 Newman's Own Foundation, founded by the late actor and philanthropist Paul Newman, today announced that it reached the milestone of donating a total of $500 million to charity since Newman’s Own started in 1982. The company is celebrating its 35th anniversary, and achieving this milestone during a special anniversary year helps punctuate the impact of Paul Newman’s legacy. He launched the company with his homemade recipe salad dressing, declaring that 100% of the profits would go to charity. To date, more than 7,600 charities have received grants, and millions of people around the world have been helped. In the first full year when Newman’s Own started, there was one product, and $300,000 went to charitable organizations. Today, the company has more than 300 products, and approximately $30 million dollars is donated each year. Newman’s Own and Newman’s Own Foundation continue the legacy and commitment of their founder by helping to make our world a better place. There are four primary focus areas for giving: encouraging philanthropy, children with life-limiting conditions, empowerment, and nutrition. Significant support has been given to: organizations that help children with life-limiting conditions (such as SeriousFun Children’s Network); veteran organizations that help military personnel, veterans, and their families (such as Fidelco Guide Dog Foundation, Elizabeth Dole Foundation, and Farmer Veteran Coalition); organizations that provide fresh food access and nutrition education in underserved communities (such as Wholesome Wave and FoodCorps); and organizations that empower people to overcome extraordinary adverse circumstances (such as SHOFCO, which helps residents of one of Africa’s largest slums experience hope through education, healthcare, and clean water). For more information about organizations served, click here.